Actress-turned-filmmaker Hélène Fillières (A Hell of a Day, Fred Vargas Collection) establishes herself as a vanguard of feminist filmmaking with her second directorial feature that she also co-writes, specifically dealing with one woman’s fight for recognition in a male world. Fillières introduces us to the mousy Laure (a breakout performance by Diane Rouxel, Standing Tall, AF FFF2017; playing a boy in The Wild Boys at this year’s Festival) whose life lacks direction. Unsure of her purpose, she accepts a position as secretary to the Director of Studies at a naval academy, the sternly superior Commanding Officer Rivière (Lambert Wilson, opening night film of AF FFF2017, The Odyssey; and In Your Hands in this year’s Festival). Against all odds, Laure thrives under Rivière’s authority, rising to each challenge and defying both her diminutive physical stature and, indeed, what is assumed of her as a woman. The countryside of Brest in Brittany provides the stage upon which Laure engages in a merciless training regime, eventually emerging from her shell, through this unconventional coming-of-age story. 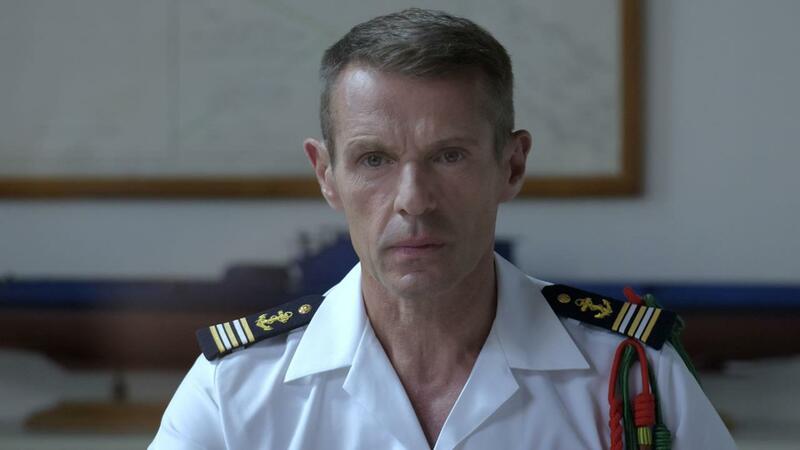 "With a dense film, Hélène Fillières explores the world of the navy with sensitivity." "Raising colours is coming of age story that Hélène Fillières’ mise-en-scène makes difficult and complex as a perfect portrayal of today’s world. A beautiful and firm feminist film."